I have previously posted some views on the Matilda II at this link. While going through the appendices to the war diary of 21. 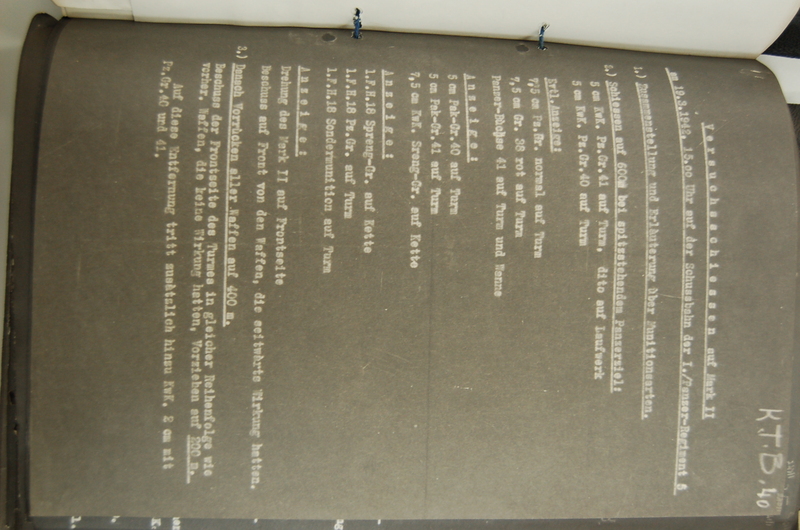 Panzerdivision, courtesy of the Imperial War Museum, I came across the results of firing trials with various German guns against the Matilda II, which show quite nicely how the one-time queen ofthe battlefield have moved towards obsolescence. Gr.40 (should be 39) is the standard model round for tank guns and anti-tank guns. It contained a small amount of HE filler for better after-armour effect. Gr.41 (should be 40) is a tungsten-core round with better effect but no HE filler. Pz.Gr.38 normal (should be Rot/red) is the standard anti-tank round of the short 7.5cm tank gun, capped and with HE filler. l.F.H.18 is a light field howitzer, and was the standard artillery piece of the Wehrmacht. Comparable to the US 105mm or the British 25-pdr. ‘Special ammunition’ for this gun was hollow-charge. This was not allowed to be used during Operation CRUSADER by order of Hitler. Panzerbuechse 41 is a heavy anti-tank rifle. Turn the Mark II facing frontally. Against the front all weapons that had indication from the side. Fire on the front turret by all weapons in the same order as before. After this advance of all weapons with no indication to 200m. At this range also indication by 2cm tank gun with Pz.Gr.40 and 41. The original document is attached below. Comments and corrections more than welcome.